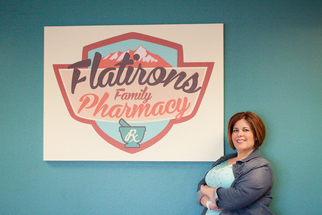 Seamless refill experiences for your patients on website, mobile, and Facebook. Get new patients and engage current ones by meeting them where they are: online. With automatic posting to social media, mobile, and website, we do the heavy lifting for you. Copyright © 2014 RxWiki. All rights reserved. "We love both the website and custom television feed that RxWiki designed for our new pharmacy and the fact that it looks beautiful on any device. The best part about the Digital Pharmacist program is that the health and medication information RxWiki displays on my website is synchronized to my custom TV show, Facebook and Twitter pages and mobile app. My patients receive a consistent message from me no matter where they go."